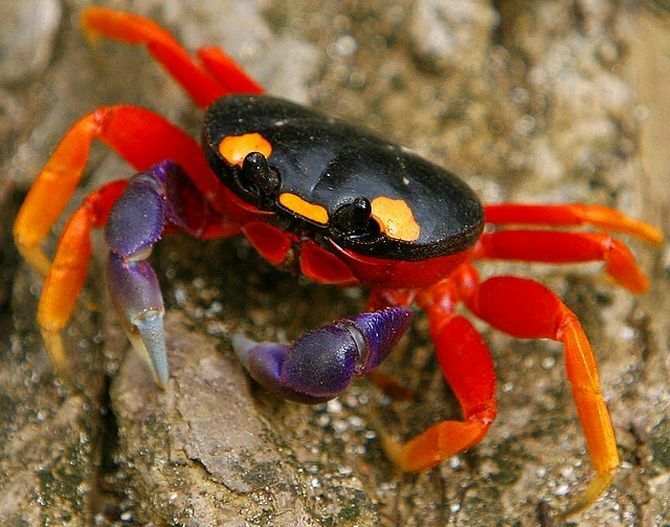 Today we’re going to introduce you to the colorful and attractive ‘Halloween crab’ that nature has permanently dressed up for Halloween. 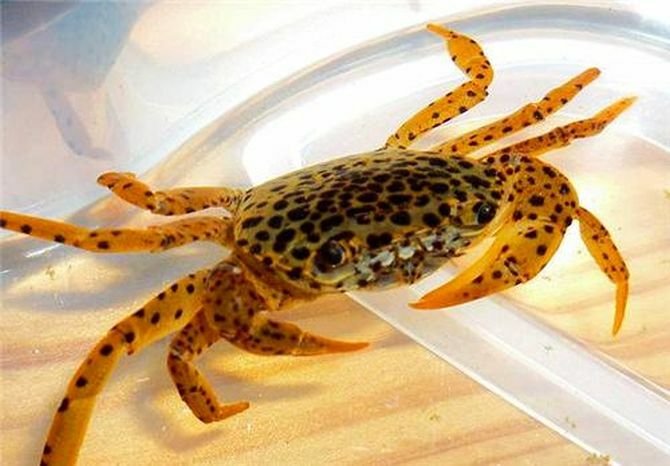 This Gecarcinus quadratus species also has other intersting nicknames such as Harlequin Land Crab, Moon Crab, Mexican land crab, and mouthless crab. 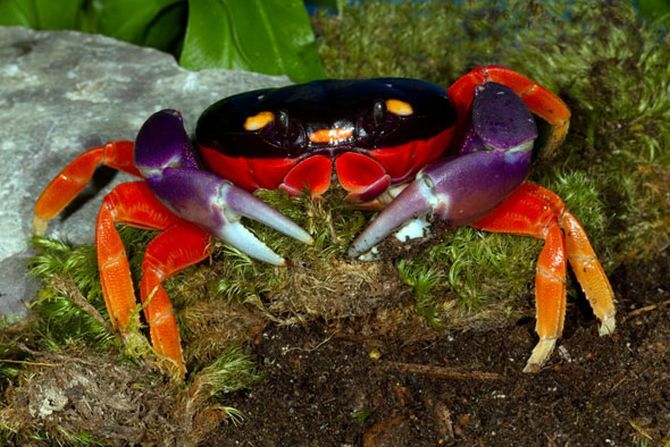 Found throughout Central America and coastal Mexico, this crab is aptly named so because of its spooky-looking black body, orange legs and purple claws. All these body parts are naturally shaded in the colors of uncanny All Hallows’ Eve. 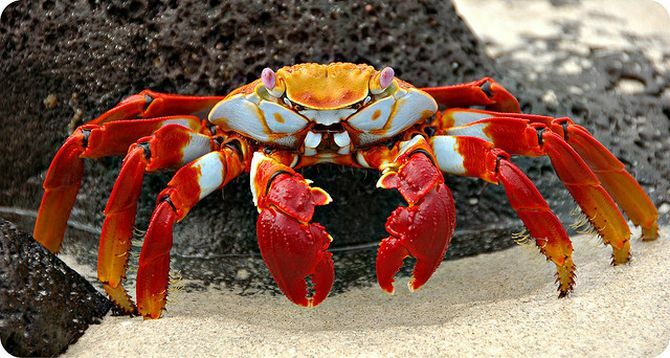 For those who love crustaceans, the Halloween crab can be a great pet in the honor of October 31st. Halloween or not, this cute little crab sports eerie mask and always ready for the spookiest party. Just like the wonderful Halloween moon crab, there are few other fascinating crustaceans that would look perfect in your aquarium on the the upcoming Hallowmas and usual days as well. Have a look at the images. 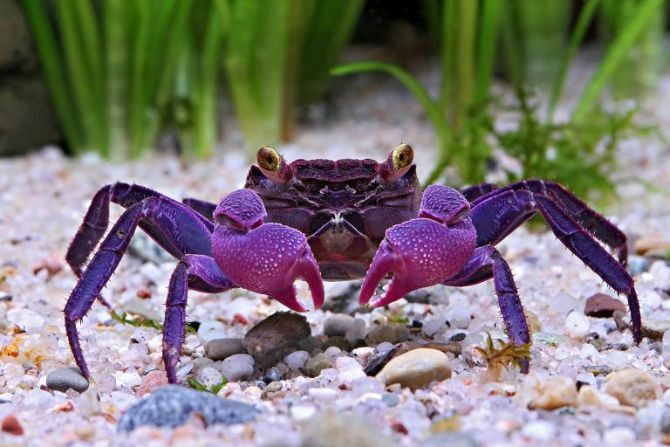 Spooky-eyed vampire crab: Found in separate river valleys on the Indonesian island of Java, it boasts fascinating purple body. 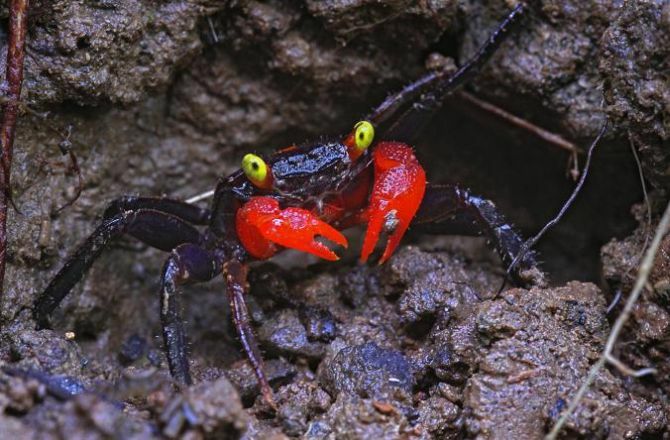 Vampire hunter crab: The vampire crab hunter are from Transylvania- home to the mythical Dracula. It has scary yellow eyes and red claws. Panther crab has spotted pattern on its body: This one-of-a-kind crustacean that appears like a fierce panther looking for its prey. 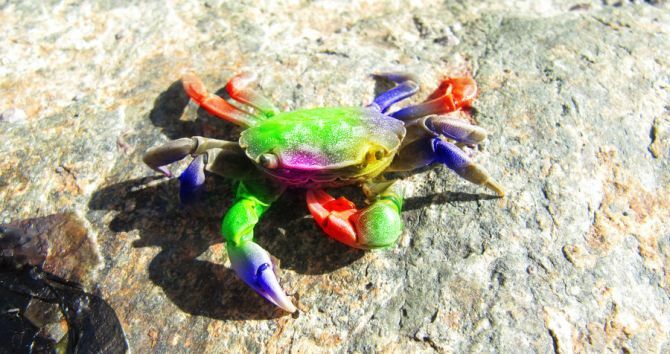 Rainbow crab with colorful legs and claws: Found in Africa, this crab typically has a blueish/violet carapace, red-colored legs and whitish claws. Eye-catching red rock crab: It has brick-red coloration throughout the body and looks absolutely gorgeous. So, bring out inner demon to scare the hell out of trick-o-treaters with these creepy but gorgeous creatures. Have a frightful and fun Halloween this year.